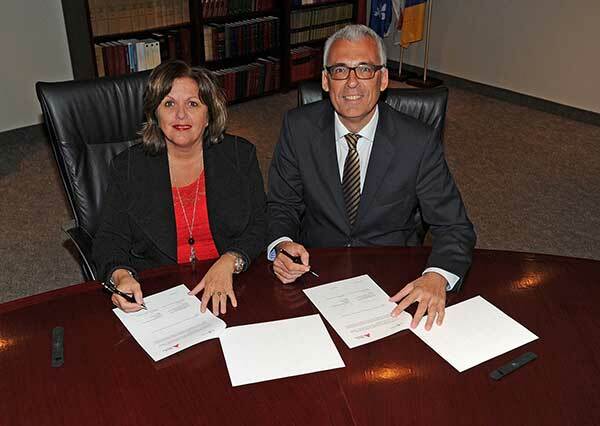 Yesterday during a joint trade mission in Montreal, the port authorities of Montreal and Antwerp, Belgium renewed their cooperative agreement. Every tier of government in Canada has recognized the agreement between the Port of Montreal and the Port of Antwerp. In fact, the agreement between the two ports has been repeatedly cited by the federal and provincial governments, along with the City of Montreal, as an example of beneficial strategic development for international trade. A gateway of choice for European markets and a major transshipment hub, the Port of Antwerp is the Port of Montreal’s largest trading partner. One container in five handled at the Port of Montreal arrives from or gets sent to the Port of Antwerp.